Buildings can be unusual for all types of reason. Whether it is because they have been built out of bizarre materials or they have unique designs that are unlike anything else, they can baffle those who see them. Such buildings have the ability to inspire people or just incite a feeling of wonderment at the strangeness of the structure. Many of these buildings have been specially created to stand out from the crowd, while others weren’t intended to look weird but have just come out that way when they were built. 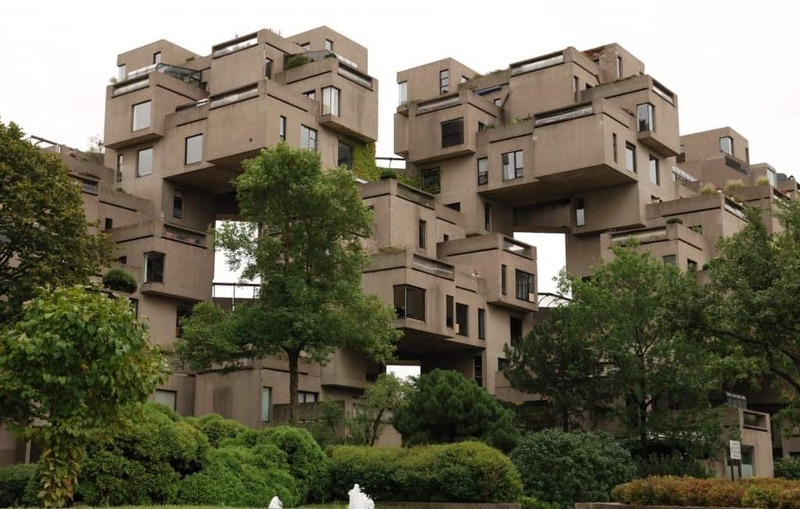 The Habitat 67 structure was created by architect Moshe Safdie, who wanted to build affordable housing in the best arrangement to create the ideal living community. The entire structure is made out of 364 identical boxes that have been combined together to form 146 individual homes. 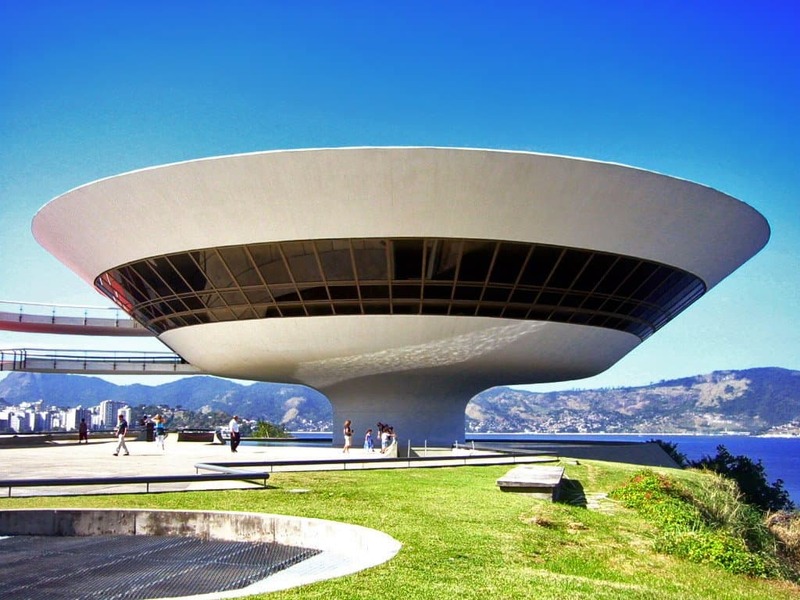 The Niteroi Contemporary Art Museum is a building located in Brazil. It resembles a spaceship from a science fiction film rather than a traditional museum. First opened in 1996, it was designed by Oscar Niemey and stands at an impressive 16 meters high. 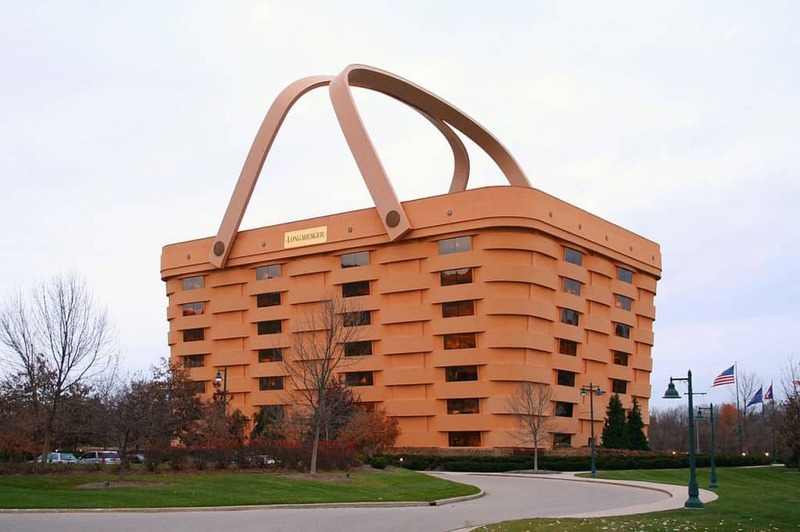 Longaberger have taken the unusual step of designing their headquarters to match the product that they are famous for making. The original leader of the company proposed the idea that every building owned by the business be built in the shape of a handbasket, though only the headquarters was ever built. This Chinese structure is one of the most modern looking in all of the country. Taking six years to build, construction first began in 2001 and continued until 2007. 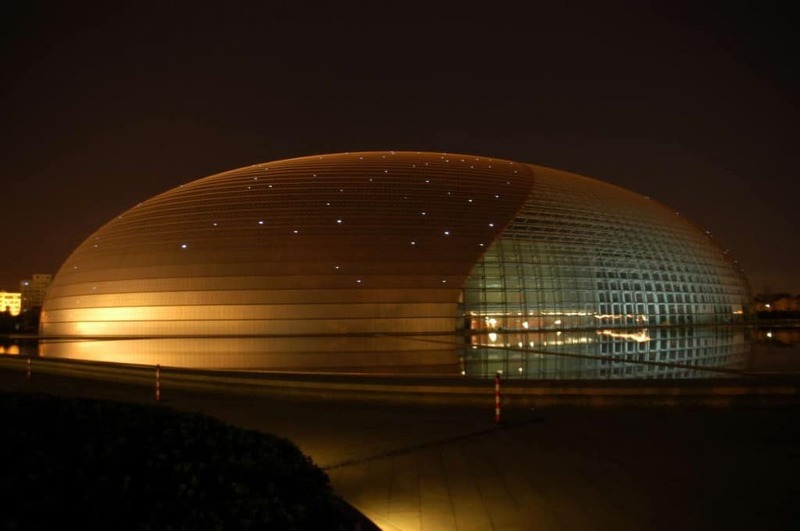 Architects managed to create a building that looks like a metallic egg, with the glass reflecting the surrounding water and the bright skies. 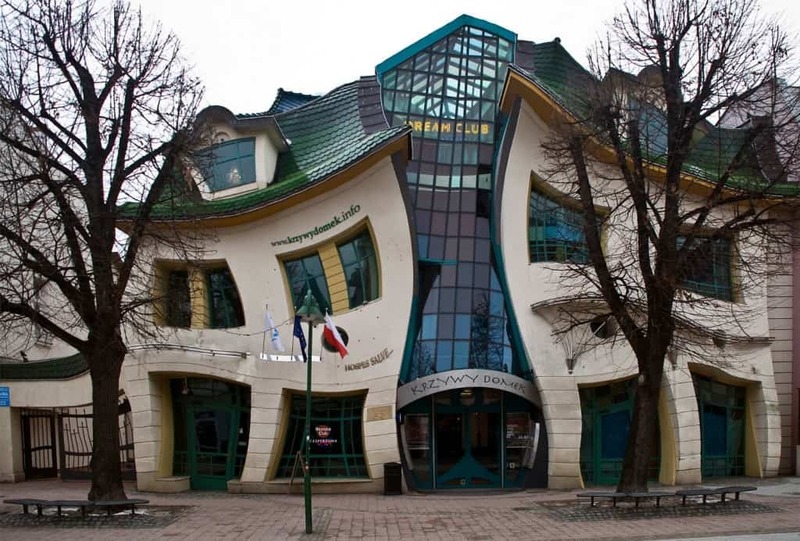 Although it is known as the Crooked House, this building is actually a shopping center in the Polish town of Sopot. Around 4,000 square meters in size, it is the work of architects Szotyńscy & Zaleski and has become a popular tourist spot thanks to its unusual shape and the fact that it has facilities such as bars and restaurants. 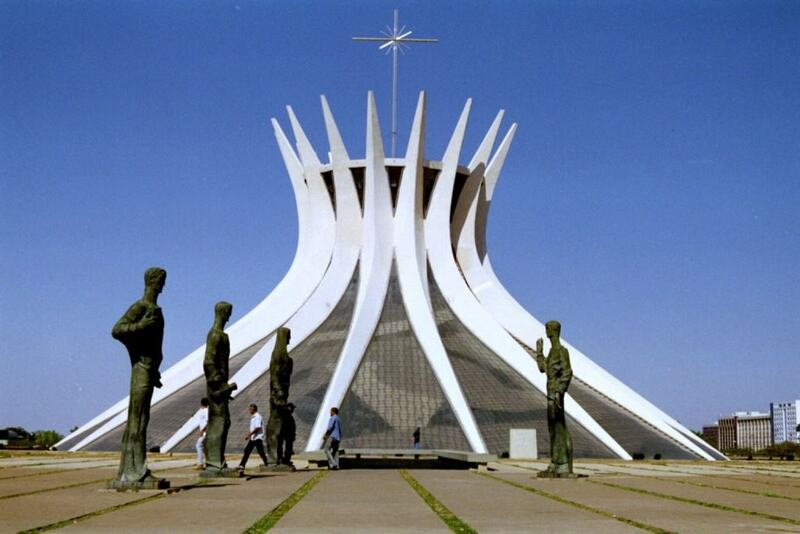 The Cathedral of Brasilia is a Roman Catholic facility built in the capital city of Brazil, which serves as the home of the Archdiocese of Brasilia. Consisting of 16 individual concrete columns that weigh 90 tons each, it took 12 years to fully complete and opened in 1970. It also contains a number of lights to create a stunning effect at night in the dark. 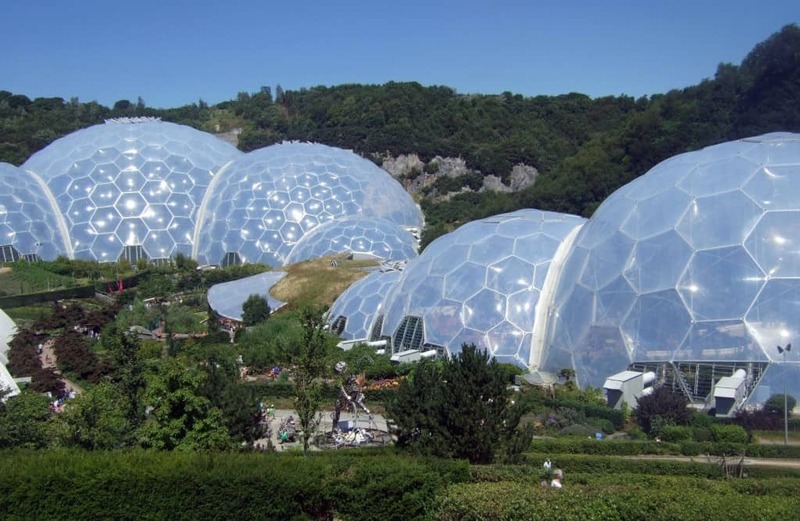 Developers created the Eden Project as a way to house a diverse range of plants from different environments around the world. The large size and shapes of the dome allows for various environmental conditions to keep the plant life alive. It first opened in 2001 and is located in Cornwall, United Kingdom. 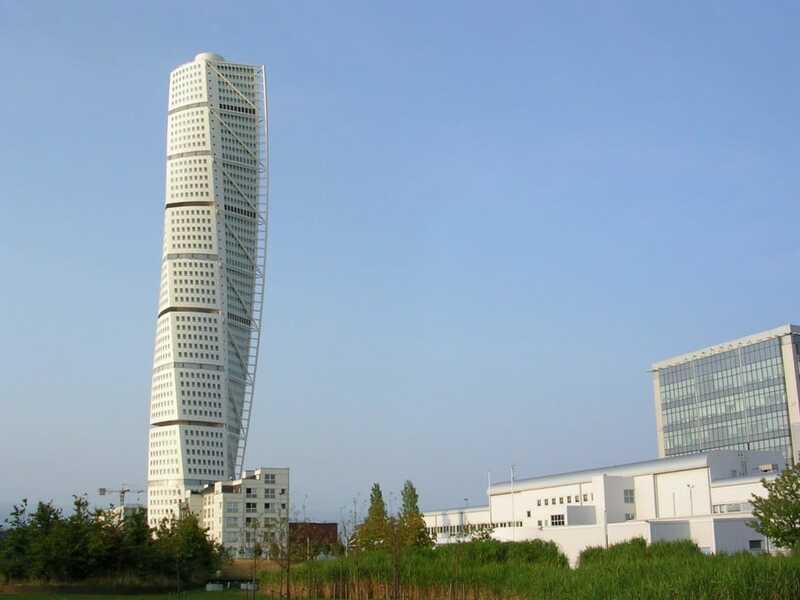 The Turning Torso building started construction in the early 21st century and it was eventually completed in 2005. Designed to look as if it has been twisted from the bottom up to the top, it holds 147 separate apartments as well as a spa and wine cellar. 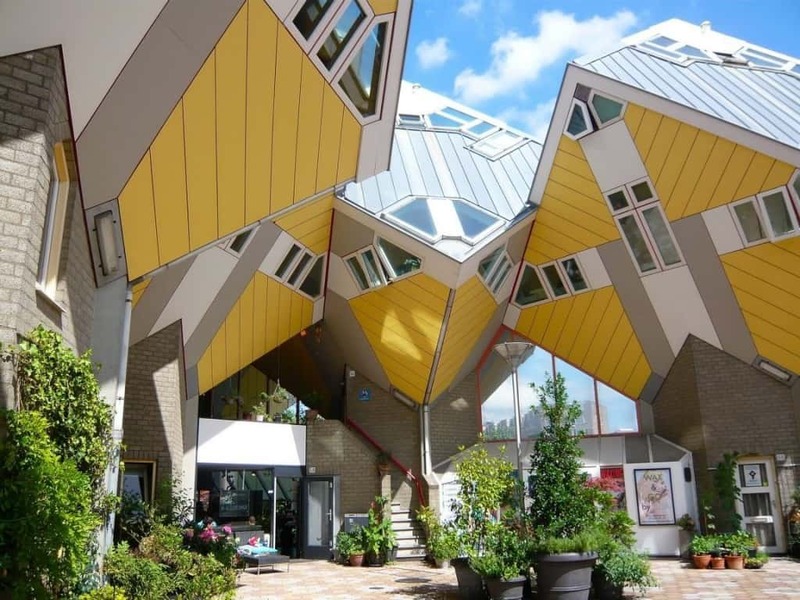 The Cubic Houses can be found in the heart of Rotterdam in the Netherlands. The architect Piet Blom designed them to look like trees, with the cubic section of the structures acting like leaves and the pylons resembling the trunks. The idea behind the bizarre homes was to create dense housing without taking up too much space on the ground. 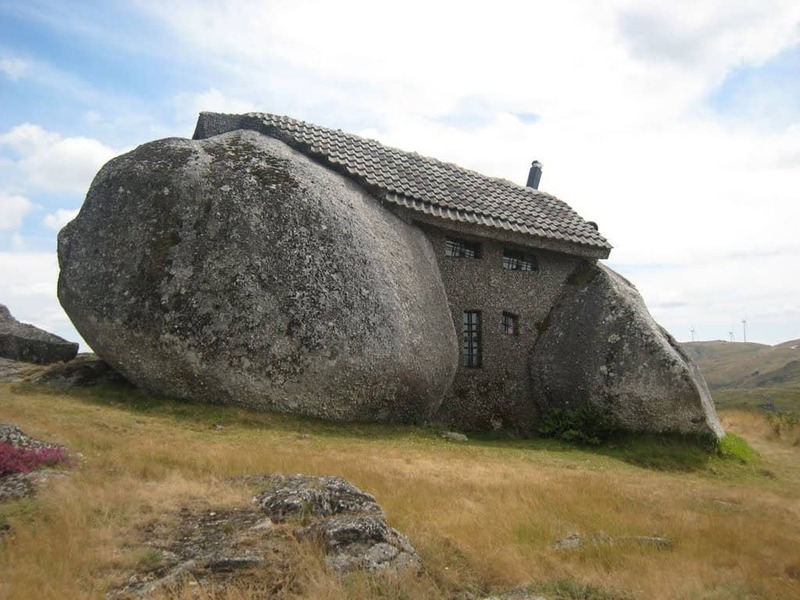 Located in Portugal, the stone house has been built between several large rocks and carved into the mountain that it stands on. While it only looks small, it contains everything necessary to live in all year round, including a fireplace, bedroom, kitchen and sofa. Due to a number of vandal attacks, the unique house is also equipped with bulletproof windows and a security steel door.